Sacred sites are so profoundly important for the well-being of Humanity and the Earth, and yet they often greatly misunderstood by those who know a little about them, and for most people they are non-existent. With this article it is my intention to clear up some of the confusion about sacred sites, and to elucidate the topic sufficiently that you will hopefully come away with a deep appreciation for the purpose and importance of sacred sites. First, it’s important to recognise that this planet (which includes you and me) is primarily a spiritual phenomena. For some people the word “spiritual” is more readily received and appreciated if we say energetic or metaphysical (i.e. beyond the physical) or quantum-physical. If those terms work better for you, please substitute them for my use of the word spiritual throughout this article. I’ll stick with spiritual, for the most part, because it’s important we all remember we are first and foremost spiritual beings existing within a spiritual reality. Our knowledge of sacred sites would be incomplete if we don’t incorporate spirits and spiritual reality into this exploration. Loosely put, a sacred site is a place and spiritual space on or within the Earth, which has particular significance to the overall spiritual, energetic, and ecological organisation of the planet. It’s very similar, conceptually, to our recognition of physical locations within your body, each with particular significance to its overall structure and function. For instance, your body is unable to function correctly (i.e. as intended) if we remove or seriously damage the brain, the spinal chord, the heart, the eyes, the lungs, and so on. According to a great many traditions, religions, and spiritual teachings from all around the world, the human body also has a complex network of energetic and spiritual “sites”. Some of these are deemed to be of particular importance and influence over the entire body physically and energetically. In Hinduism we find detailed information on what they call the chakras and nadis. In Chinese medicine and Taoism there is detailed information on the meridians and the three dan tiens, for example. These are all subtle energetic phenomena. Sacred sites are, in many ways, similar to the subtle energetic structure of the human being, and all life-forms. Although, in keys ways, they also differ. 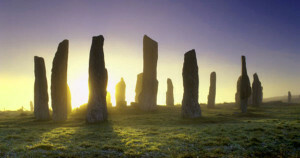 All major sacred sites have a spirit associated with them. It’s just as you and I have a spirit associated with our physical being. According to the Original Wisdom, you, in essence, are not your physical body. 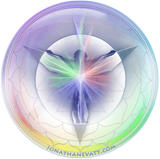 You are a living spirit, and your physical body is deeply associated with you as a spirit. First, and foremost, you are a living, conscious, spirit. It is that spirit that brings life and consciousness to your living body. It’s not the other way around. 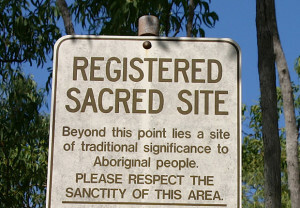 Similarly, sacred sites have a living spirit associated with them. Where ordinary Man sees a mountain, a spiritual seer (such as a Kogi Mama, for example) sees a living spirit, existing within a spiritual space, which is deeply associated with a physical mountain. Although, they see all these dimensions of “the mountain” as one and the same. It is only ordinary Man’s reductionistic rationalism and language that separates out “mountain”, “spiritual space”, and “a living spirit”. Mountains, lakes, rivers, etc., all very likely have a spirit associated with them. In the few indigenous traditions I am familiar with (primarily Australian Aboriginal, New Zealand Maori and pre-Maori, and Hawaiian and Polynesian, and some native American traditions) it is recognised that the spirits of the sacred sites in ones local environment form an aspect of our ancestry. This means there are likely mountains and lakes, etc., who are your ancestors. That does not imply they are our “ancestors” in the sense that they are possessed by the spirits of our human ancestors who have died. Rather, it literally means these mountains, rivers, and lakes (as spiritual beings) are as much our ancestors as our grand parents, and great-grand parents, etc., are. For example, in the New Zealand Maori culture the word Whakapapa translates to ancestry. Yet it is important for non-Maori to recognise that Whakapapa does not simply refer to our historical family bloodline. It also refers to places and spaces, in particular mountains, rivers, lakes, etc. A traditional Maori might introduce themselves, in a formal context, by stating their name, and the names of their parents, grand parents, etc., and also their mountain, their river, and their lake, for example. These are all elements of what they recognise as their ancestors. According to the Original Wisdom of the Mother, sacred sites serve a vital (and vitalising) function within the local environ. In the spiritual space of a region, the sacred sites hold and maintain certain spiritual—and consequently, ecological—conditions. A sacred site impacts the consciousness of the region in which it resides, and subsequently it impacts the consciousness of those being living in that region. When there are humans present, an active and functional sacred site will influence the spiritual well-being and thus consciousness of those people. One of the ways sacred sites have such an influence on people is via the plants and animals growing under its influence. When people eat those plants and animals there is a subtle energetic (we could say spiritual) interchange taking place between those people and the sacred sites of the region. If the spirits of those sites are happy and healthy (i.e. in a state of balance and harmony) the energy of this is passed on to the people. If the original ancestral spirit of a sacred site has been hi-jacked or displaced by a negative spirit, demon, or dark force, this too will exert a subtle influence over everything that comes under the local influence of that site. The people in the area will be negatively impacted accordingly. Of all the many potential functions of sacred sites, the one just touched on is perhaps the most important to initially understand and appreciate. 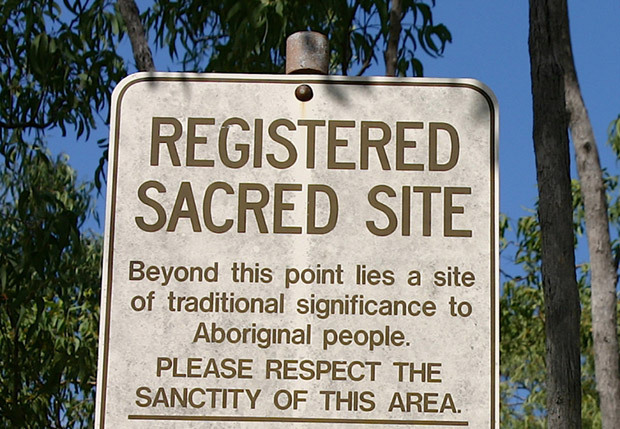 It is beyond the scope of this article to get into the other functions of sacred sites. According to the Original Wisdom of the Mother, the Sprit of Man is exceptionally powerful. The Kogi Mamas, for instance, say the human spirit is more powerful than the sun. The reason for the Mother making the human spirit so powerful is that it was originally intended that Man perform a very important function within creation. Human beings—as living, conscious, multi-dimensional embodied spirits—are literally the caretakers of the Earth and, in fact, the entire Cosmos. It was originally intended that the Spirit of Man would protect, sustain, and nourish the sacred sites of the region in which they co-exist. Just as the radiant power of the Sun nourishes and sustains the Earth, and all life on Earth, on a great many levels, the Spirit of Man is capable of nourishing and sustaining sacred sites. This means that, spiritually speaking, it is a natural function of Man to nourish and sustain the spirits of sacred sites. When we fail to fulfil this function (or *natural duty*) the living intelligence and organisation of the Earth, as a living spiritual being, slowly but surely degrades. 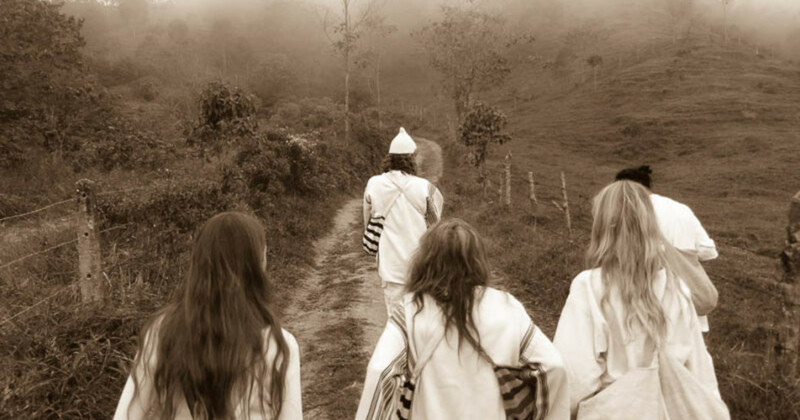 When humans (as living spirits) are successfully attending to the sacred sites they are naturally responsible for, those sites remain in balance. A key balance in this dualistic world is that of light and dark forces. We see this portrayed in George Lucas’ *Star Wars* story line. If a sacred site is abandoned—let’s say the people responsible for it are displaced by invaders—there is a high chance it will, over time, become deficient in the kind of consciousness and energy it depends on humans for. Consequently, it’s energy will degrade, and it will become prone to infiltration by dark forces. What can also happen is that the people responsible for a sacred site become deficient in their exchange of life-force with it. It could be for whatever reason… Perhaps, at first, they simply become a little lazy, a little forgetful, or overtaken by self-centred traits and tendencies. The sacred site might then become infiltrated by a dark or negative force. That dark force will slowly degrade the energy and consciousness of that site even further. Keep in mind, these are events that typically play out over hundreds, even thousands of years. Over time the situation escalates. Because the people in the area are in constant energetic and spiritual exchange with that sacred site, and the energy they receive from the site is degenerate and tainted by evil (i.e. that which is life-degrading), the people will also become increasingly degenerate and prone to evil tendencies and behaviours. We have reached a critical point in the condition of the Earth. Our unconscious and life-degrading activities have taken a massive toll. What’s more, humanity at large is barely even benefiting from what much of what we wantonly take from the Earth and from each other. Just a tiny tiny fraction of human beings—less than 1000 or so—own the vast majority of wealth and assets on this planet. It’s extraordinary, and we’re all paying for it a high high price. According to Oxfam research published in 2015, 1% of the world’s population will soon own more wealth than the other 99%. 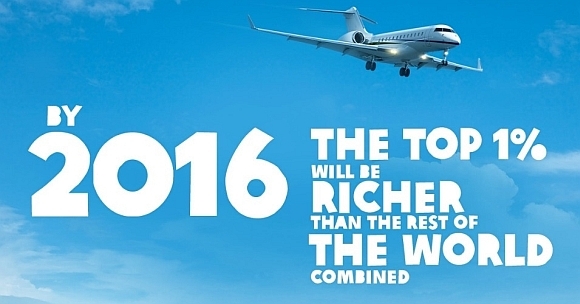 In 2015 the 85 richest people own more wealth than the poorest 50%, or 3.5 billion people. You can read the full story about that here (http://bit.ly/1TOpFst). What that means, as I have been saying for nearly 30 years, is that most of humanity are living like slaves. Our current situation is critical, both humanly and environmentally. According to the Original Wisdom of LIFE, it is fundamentally important the Earth, and her many sacred sites—which are key junctures in the web by which the Earth is spiritually organised—be attended to by conscious human beings. The Earth requires human beings who are fully conscious that they are living spirits, to help maintain energetic balance and harmony whilst the planet and all life on Earth transitions through these dark and challenging times. The Kogi Mamas from the high mountains of Colombia, are some of the last fully in-tact indigenous who still tirelessly perform that task. But now they need our help. It is simply to much for a few hundred Mamas to keep the spirit of the Earth in a state of balance whilst over 7 billion people either fail to do their part, or inadvertently are dong the exact opposite. The only way the present situation on Earth will change is by people, like you and me, doing something about it. It’s as simple and as challenging as that. One might ask, “But how can I do anything that will make a real difference when over 7 billion people don’t bother to?” If the Kogi concerned themselves with such thoughts, chances are they do would sit back and throw in the towel. Over the last 30 years, or so, the Kogi have instigated a world movement, silently and discreetly. Like a great tree starting out from a tiny seed, it has taken time for the seed to germinate, set roots, and send up a sprout. Over the past 12 years, or so, that sprout has grown into a small sapling. It has set a powerful taproot, and it is now beginning to grow into a young tree. As I write this, in April 2016, a new stage is unfolding in the growth of this awesome World tree. So far the spread of its branches has been based in North America, where the Kogi Elders and Mama Koginka Kamaru Xue have been establishing a great work of recovering and harmonising over 400 sacred sites. Over the next few years the Mamas are handing their work with these sacred sites to people they have been training in North America for that incredible task. From there, the tree will spread, one by one, to nations worldwide. Will you help support this extraordinary undertaking?